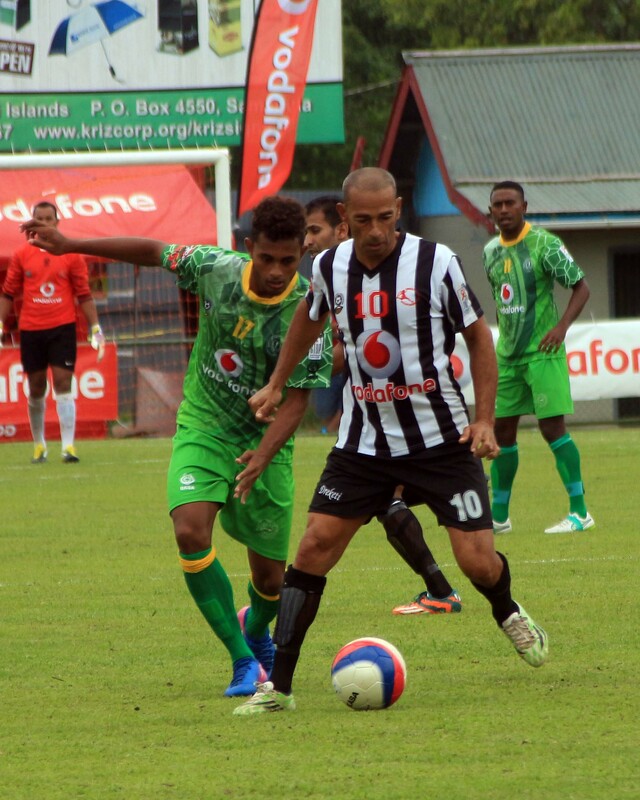 Dreketi’s Henry Dyer was one of the oldest players to feature in the 2017 Vodafone Fiji FACT at Ratu Cakobau Park in Nausori last weekend. He had encouraged footballers to be more passionate and dedicated if they want to build a career in football. Dyer believes age is not a factor when it comes to playing football. He said the passion and love or football is what has kept him going all these years. The 45-year-old midfielder has played for Labasa, Suva, Rewa, Navua and now Dreketi has not thought of taking retirement yet. ‘I will continue to play as long as I will have strength in my legs,” Dyer said. “I think I have worked really hard to be where I am today. I don’t just train with the team, I train during the off-season which is very important,” Dyer said. “My journey has been good, I have played for many teams and I think when it comes to age, that should not be a factor as to why a player should stop playing a sport they love. “Age is just a number but it is all about the physical aspect of things and how fit you are to be able to continue playing. “The other thing that has kept me going is my family, their support means everything to me and they have always been there for me and my children are starting to get into football as well. “I think the thing that has kept me going all these years was the love I have for the sport, I enjoy it and I enjoy playing alongside the many young and experienced boys. Dyer said he was happy to see the progress of football over the years from where it has been to what it has come to. “I think the quality of football has improved as the pace is now faster and there have been a lot of changes,” he said. “It is growing fast and the standard is increasing every day and it is nice to see there are a lot of young players coming onto the scene.